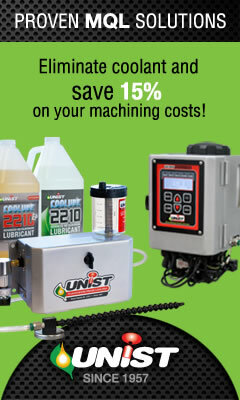 Welcome to minimumquantitylubrication.com! This website is here to foster discussion and information related to ‘MQL’ (Minimum Quantity Lubrication) technology. MQL is a relatively new lubrication technology for metal cutting which consists of a lubricant applied in very small quantities via an atomized spray to the interface of the cutting tool and the work piece. Where traditional flood coolant practices attempt to cool down the tool by flooding the interface with a water-based coolant, MQL seeks to properly lubricate the interface thereby reducing friction and heat build-up before heat even becomes an issue. This entry was posted in general info on December 17, 2012 by mqlGuru.